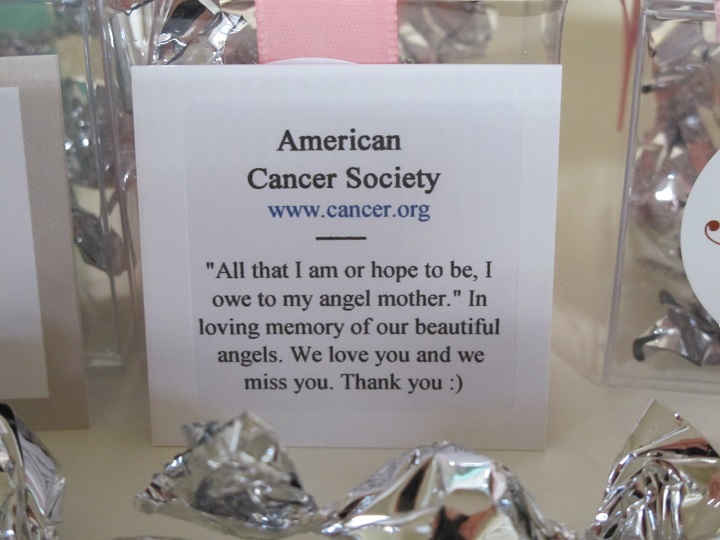 American Cancer Society was the charity that Meghan chose for her wedding favors. American Cancer Society targets almost all forms and varieties of cancer from breast cancer, colon and rectal cancer, lung cancer, prostate cancer, skin cancer and literally hundreds more. They share their research with all the major cancer research organizations. Meghan’s special mention was very touching – “All that I am or hope to be, I owe to my angel mother.” In loving memory of our beautiful angels. We love you and we miss you. Thank you :). 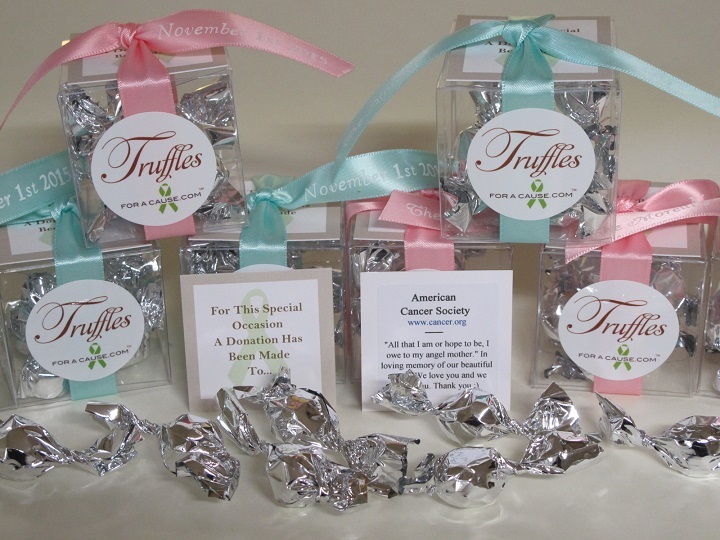 Her favors were our boxed Mini Favors with clear favor boxes, silver mini truffles and printed pink and aqua ribbons. Thank you very much Meghan.